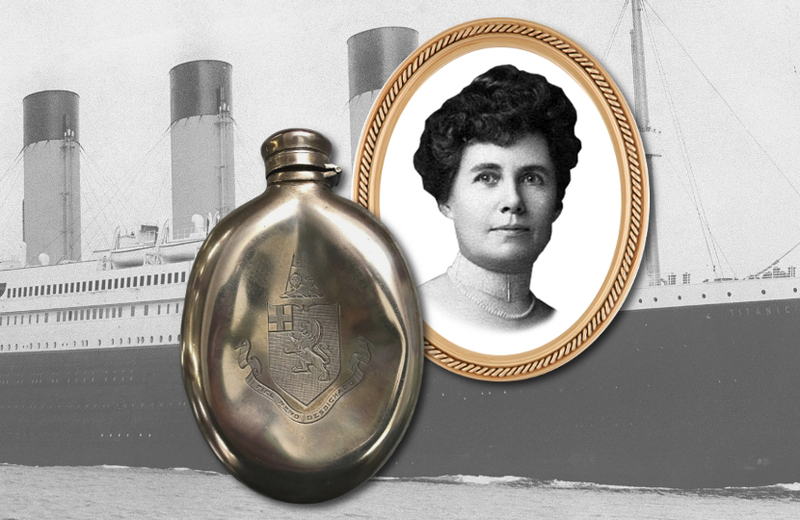 A silver brandy flask owned by Titanic survivor Helen Churchill Candee could sell for up to $100,000 later this month. A silver brandy flask which survived the sinking of the Titanic is amongst the star lots of a forthcoming sale at Henry Aldridge & Son. 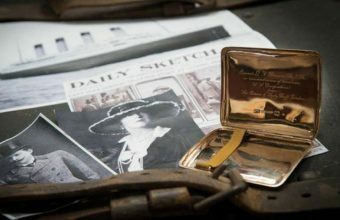 The flask, which is expected to sell for more than $100,000, has been described as “one of the most powerful & emotive three-dimensional objects from the Titanic ever offered for auction”. It belonged to First-Class passenger Helen Churchill Candee, a renowned American author, journalist and women’s rights activist, and is engraved with her family’s strangely prescient motto “Faithful but Unfortunate”. In April 1912 Candee had been travelling throughout Europe researching her new book, when she received word that her son Harold had been injured in an accident. She quickly booked a return passage to New York on the first available liner, which turned out to be the maiden voyage of the Titanic. 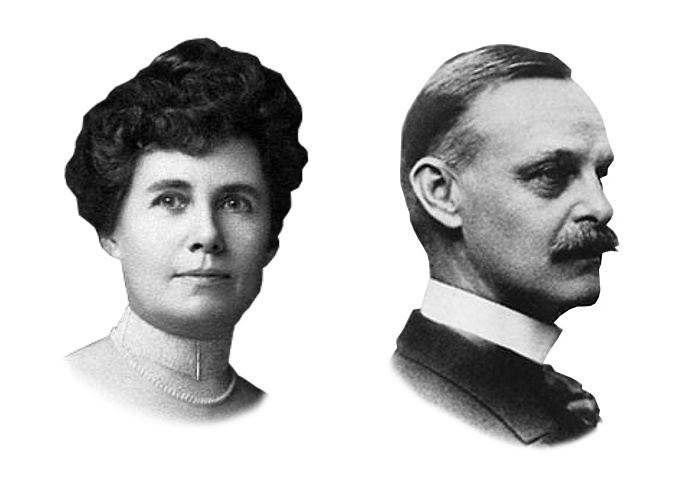 Once on board, she soon became friends with a group of artists, writers and socialites which included the prominent New York architect Edward Kent. On the night of the sinking it was Kent who accompanied Candee, along with several other female passengers, and helped them to safety in the lifeboats. In her account of the tragedy, Candee described the scenes as first class passengers donned lifejackets over their robes and evening gowns and made their way to the ship’s deck. Afraid she was going to die, Candee told Kent “You stand a better chance of living than I” and gave him the flask and a miniature portrait of her mother for safekeeping in his pocket. She then fell as she climbed aboard lifeboat #6, fracturing her ankle, but still manned an oar and rowed to safety alongside famous survivors Margaret Brown (aka “the unsinkable Molly Brown”) and Elizabeth Rothschild, who was carrying her Pomeranian dog. Sadly Edward Kent was not so lucky, and having helped save the lives of others, he went down with the ship. 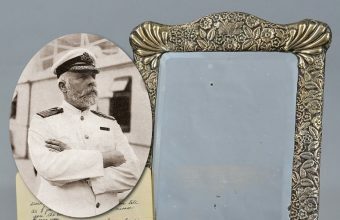 His body was later recovered from the frozen waters by the crew of the C.S Mackay-Bennett, and the personal effects found on his body were sent to his widow. Once she was back in New York, Mrs Candee received a parcel from Kent’s grieving sister Charlotte containing her brandy flask which had sustained a large dent during its violent last moments at sea. 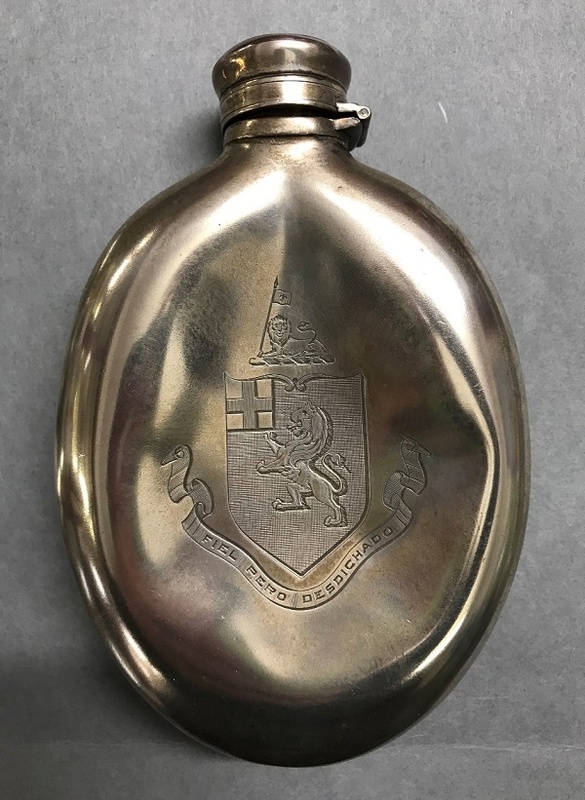 Both item remained in Candee’s family until 2005, when her granddaughter sold the silver flask through Henry Aldridge & Son for approximately $44,000. 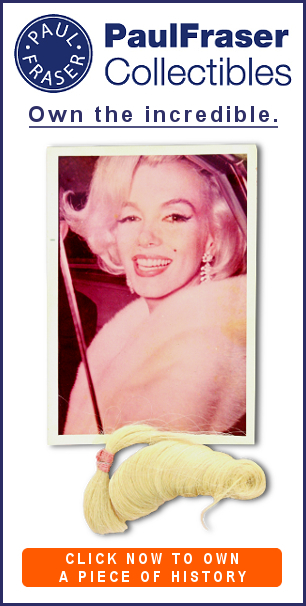 A year later the miniature portrait also hit the block through Henry Aldridge, where it sold for $110,000. The same sale also included Candee’s own 36-page account of the disaster, which fetched $95,000. Since the 2005 sale the battered flask has remained in the same private collection, and since January 2019 it has been exhibited at the world’s largest Titanic museum in Pigeon Forge, Tennessee. 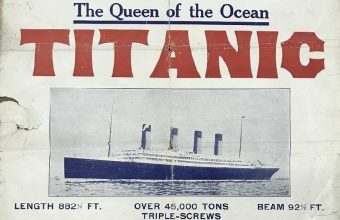 The Henry Aldridge & Son Titanic & Transport Memorabilia Auction takes place in Devizes, Wiltshire on April 27.